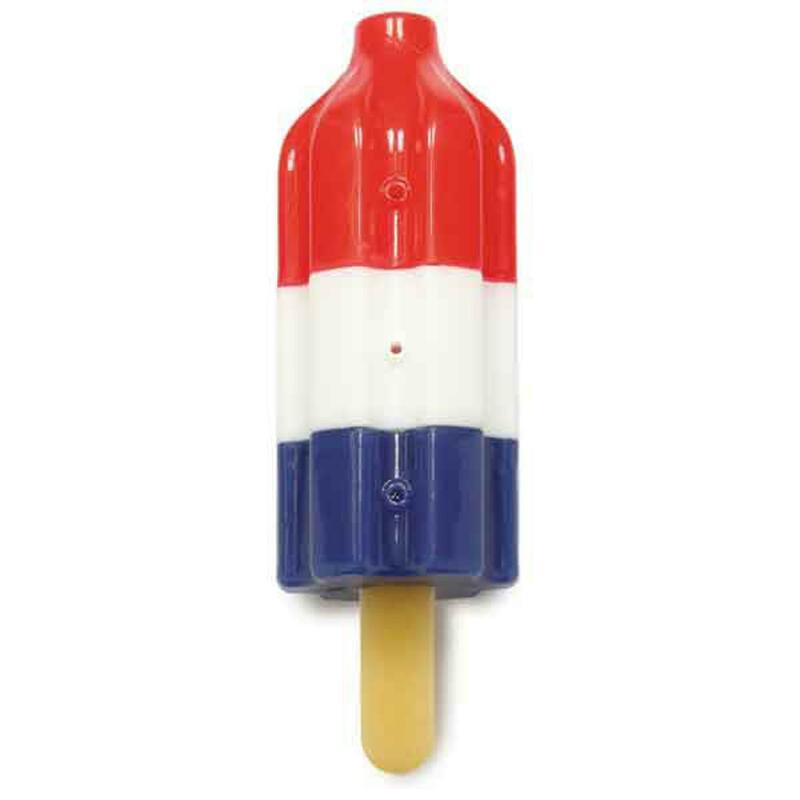 The Cool Pup Cooling Dog Toy Rocket Pop that look and smell like frozen treats, and feel just as refreshing and ready to celebrate at those summer patriotic parties! Dogs love popsicles, and here's a safe and fun way to let them have one! Cool Pup™ Cooling Toys can be filled with water and frozen, to give dogs an icy-cool way to enjoy traditional summertime goodies! This dog toy is made of TPR (thermoplastic rubber) which provides a squishy, comforting chewing experience. Combining the gummy texture with a cooling feature makes this an ideal toy for teething puppies or any hot dog. Your dog will love the multisensory experience of this unique cooling dog chew toy! Great for those patriotic 4th of July parties! Fill with water by submerging in water, or hold under a running faucet. Squeeze toy to release air bubbles and allow water to fill the inner cavity. Place toy in the freezer with holes facing up so water does not leak out. Keep toy in the freezer for about two hours until water is frozen. Remove toy from freezer and give to your dog to play with outdoors or on a water-resistant surface. 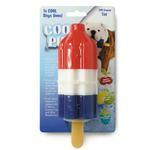 For maximum cooling effect, let dogs play with this toy in the shade or on a cool surface. Caution: Do not allow your pet to play with any toy if it becomes damaged. Supervision is advised. 20lb teething puppy loves this toy - holds up well. a few pieces of rubber have come off the 'stick' part but more in-tact than the rest of his toys. Posted On 06/06/17 by Jennifer L from Senoia, GA Yes, Jennifer L recommends this product! My puppy loves this as she is teething and chews on anything she can get hold of and it is large and durable enough for our larger dog also.